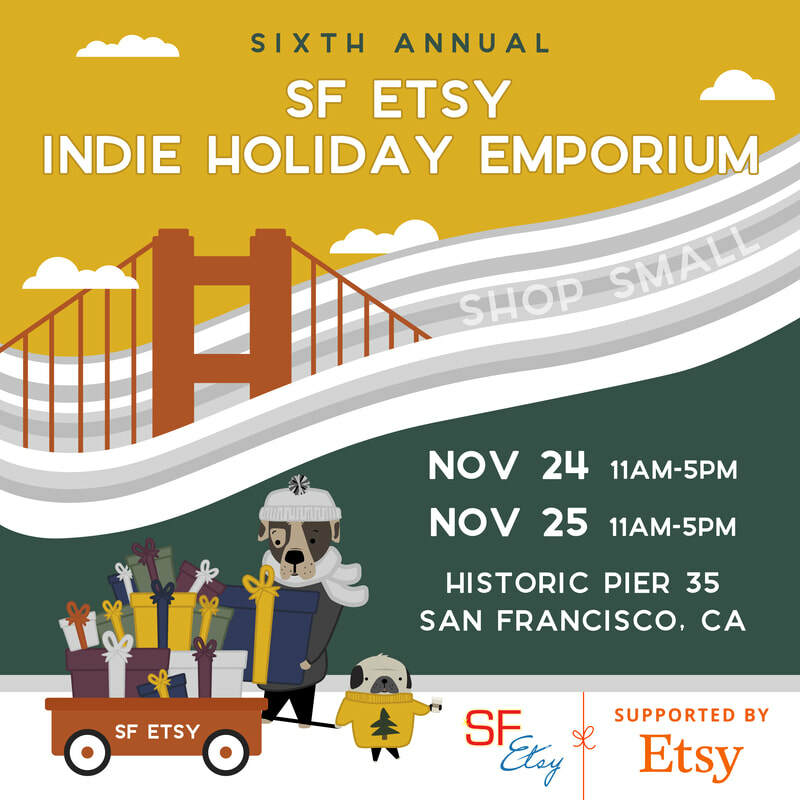 Our 6th Annual Indie Holiday Emporium is back at Historic Pier 35 in San Francisco this year. Save the date for Thanksgiving weekend, Sat. Nov. 24 & Sun. Nov. 25! Let us know if you'll be coming on our Facebook page! - How much does the show cost? It is FREE to get in, both days! - How many vendors will be there? - Are the vendors local? Yes! We take pride in curating the majority of our vendors from the Bay Area and closely surrounding areas. We have a few others from Northern and Southern California. You will be shopping small and shopping local! - Are the products handmade? Yes! We only accept handmade and locally-designed items into our show. We are at Pier 35, so there is no parking on-site, but there are a number of lots and parking garages nearby, especially as Pier 39 is just north of us along Embarcadero. This is San Francisco, so be prepared that lots may be expensive. The street cars run frequently along Embarcadero right near Pier 35, so you may prefer to take public transportation or park a little further away and take the F Line. Uber and Lyft are also easy and potentially less expensive options. - What time should I get there? - Will there be a line to get in? In order to keep the crowds down inside, we will be limiting the number of guests allowed in at a time, so there may be a line. However, the line moves very quickly as we usually let in groups of people at once. There will also be food trucks outside, so you can eat while you wait. - Are there restrooms available? Yes, there are restrooms inside the building in 2 different locations. Restroom stalls are limited, so please have patience and be kind to the restroom staff and fellow shoppers. - Is there food available? There will be food options inside (details to come). - Can I bring my dog inside?